Dufftown is an ideal location for walking. There are routes to suit all ages and abilities. From a short stroll around the town to long distance routes over high mountains this area has it all. Dufftown has a number of short waymarked walks that explore the surrounding countryside. These all provide good access to the natural delights of the area throughout the four seasons. For the more ambitious walker several routes can be combined to create a longer walk. There is a Walks aound Dufftown booklet available from the Information Point in the Whisky Museum or from accommodation providers. To the south west of Dufftown rises Ben Rinnes, its shattered granite tors forming twin summits. It is easily ascended from just off the B9009 road to Tomintoul. 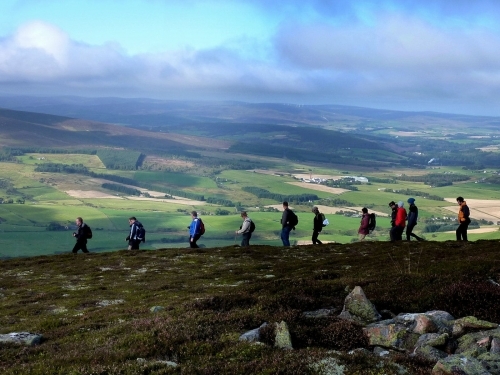 On a clear day the view takes in eight counties from Caithness to the Cairngorms and from Bennachie to Ben Wyvis. 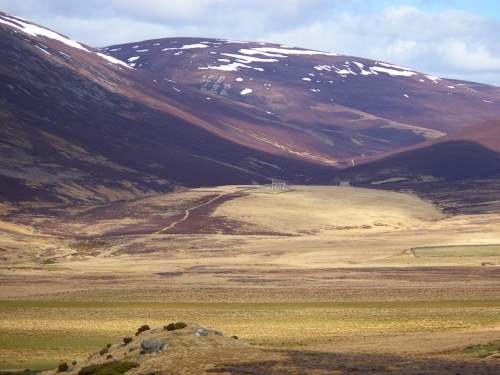 The remote and unspoilt landscapes of the Glenlivet Crown Estate are easily accessible from a network of over one hundred miles of waymarked paths. The central Cairngorms throw down a challenge to hardened hill walkers in the shape of Britain's only arctic plateaux. A popular route is the infamous pass of the Lairig Ghru - a distance of some 32 km from Coylumbridge to the Lynn of Dee. The Dufftown Distilleries Walks is a relaxed walking tour around the Dufftown distillery sites, past and present. Drink in the history, the surroundings and of course samples from the distilleries themselves! You can visit the sites of: Pittyvaich, Dufftown, Mortlach, Glendullan, Parkmore, Glenfiddich, Balvenie, Kininvie and Convalmore. This is the perfect way to see the Malt Whisky Capital of the World. Click here for more details.